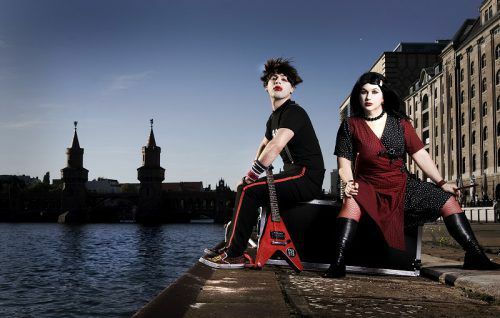 DIE ROTEN PUNKTE, the self-proclaimed best band in the world and award-winning post-punk musical cabaret comedy duo is bringing “SuperMusician” to town for one night only. Since releasing their first album in 2006, the duo has a huge and loyal fan base following their avant-garde style and antics, becoming a cult festival favourite with their dysfunctional sibling squabbling onstage, questionable German accent authenticity and hilarious pop-rock songs including “Ich Bin Nicht Ein Roboter” (weirdly translated as I Am A Lion). At The Street, 8pm, Saturday October 15, bookings to thestreet.org.au or 6247 1223. 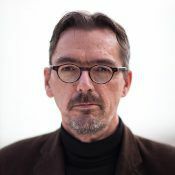 “DESIGN FOR LIFE: creating meaning in a distracted world” is a lecture by world leader in design for sustainability Stuart Walker, Lecture Theatre, School of Art, ANU, 1.15 – 2pm Thursday, October 13. COST: Free. CREATE character, build a role, learn acting techniques, interpret text, perform a part, explore theories and put into practice the ideas of Stanislavski, Brecht, Grotowski, Olivier and Peter Brook through the creation of a performance with tutor, Peter Wilkins. At Hedley Beare Centre for Teaching and Learning. 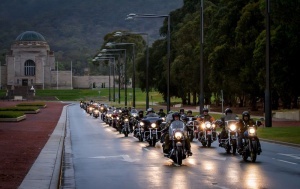 Fremantle Drive, 6 week course for adults every Thursday from 7-9pm commencing Thursday, October 20. Prices, inquiries and enrolment forms at peterwilkins@grapevine.com.au or peterbwilkins@aol.com or 0408034373. The National Portrait Gallery is calling for entries for the National Photographic Portrait Prize 2017. Celebrating its tenth birthday, the gallery is offering a prize of $25,000 for the most outstanding photographic portrait. Entries by midnight on November 21, visit nppp.portrait.gov.au for details. 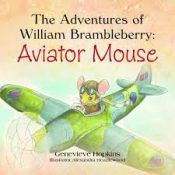 GENEVIEVE HOPKINS is the author of “The Adventures of William Brambleberry: Aviator Mouse.” The book is based on real people and events during WWII, namely 453 Squadron, an Australian Spitfire Squadron stationed in the UK. She’s launched a crowd funding project to re-print 1,000 copies of the book in hardcover, a crowd funding site at gofundme.com/aviator-mouse 10 per cent of all proceeds will be donated to SoldierOn. Books will be sold at the Australian War Memorial. PLAYWRIGHTS & DIRECTORS are invited to take part in 10-minute, Christmas-themed playwriting showcase, “Santa, Baby”, running at the Courtyard Studio from December 16-17. Submissions to submissions@buddingtheatre.com by November 6. QL2 Dance has “EAT!” performed by its younger dancers aged 8–15, plus some from the older Quantum Leap ensemble. It’s is a new contemporary dance work, about our relationship to food. Choreographers Jack Ziesing, Caitlin Comerford and Jamie Winbank join artistic director Ruth Osborne in creating the work with the dancers. Theatre 3 Repertory Lane Acton, 6.45 for 7pm Friday, October 14, bookings to 6247 3103. 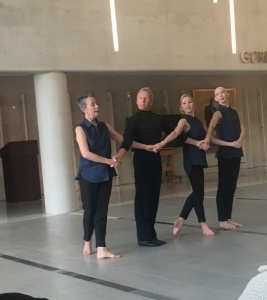 THE NATIONAL Portrait Gallery has “Dances for David”, a performance choreographed by Anca Frankenhaeuser, Patrick Harding-Irmer, Julia Cotton and Elle Cahill. Comprised of four dances inspired by artistic director of The Australian Ballet David McAllister’s career, with allusions to McAllister’s favourite ballet works. Saturday 15 October 1:00pm – 1:30pm 3:00pm – 3:30pm Sunday 16 October 1:00pm – 1:30pm 3:00pm – 3:30pm. Free, no bookings required. “FEEL THE MUSIC” is a year-long dance program specifically created for people with hearing impairment, happening at Belconnen Arts Centre on eight Fridays of each school term. It offers a wide range of dance styles, live music, social dance gigs, and some performance. Inquiries to philip.piggin@belconnenartscentre.com.au or SMS 0417 417 182. WESLEY MUSIC Centre has the Bach Festival day coming up from 10am-4.30pm on October 15. It’s a collaboration between Austral Harmony and the Wesley Music Foundation to raise funds for an Early Music Scholarship. Featured performer is English cellist Louise King, who belongs to the latest generation of contemporary classical musicians. Bookings to trybooking.com/NAMJ or at the door. THE Australian Haydn Ensemble is currently featuring chamber versions of Beethoven’s piano concertos, with Neal Peres Da Costa, playing Beethoven’s 4th Piano Concerto, on fortepiano. The Hall, University House, ANU, 7pm, Thursday October 13. Bookings to 1800 334 388 or australianhaydn.com.au or at the door. THE “THOROUGHLY MODERN MEN” of the Australian Rugby Choir celebrate their 20th Anniversary Concert, joined by Troy Castle. Previous musical directors, Andrea Clifford and Lucy Birmingham will be making guest appearances. Southern Cross Club, Woden, 2pm, Sunday, October 16. Bookings to eventopia.co or tickets at the door. THE STREET Theatre has: singer/songwriter and multi-instrumentalist Emma Louise’s album tour Supercry is show at 7.30pm on October 13; singer-songwriter Alesa Lajana, 8pm, Friday, October 14; the Joseph Tawadros Quartet’s world music album launch,7.30pm Friday 14 October; and Melanie Horsnell: Quatre Chemins Album Launch. 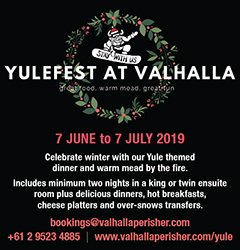 Bookings for all to thestreet.org.au or 6247 1223. “BAROQUE LUTE Music of Sylvius Leopold Weiss” will be performed by Andrew Byrne on the 266th anniversary of Bach’s death, on a lute with 24 pure gut strings. 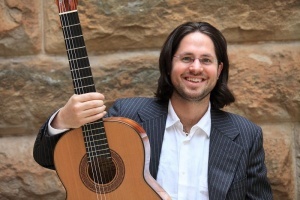 Wesley Music Centre, 6.30pm, Sunday, October 16, bookings to trybooking.com/MVJK or at the door. GLOBAL TROUBADOUR, 8 Ball Aitken, will here as part of his four month “Blazing Blues Summer Tour,” at Harmonie German Club, 8pm, Friday October 14, tickets at the door. 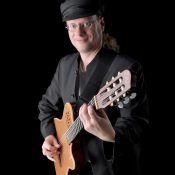 ACOUSTIC GUITARIST and multi-instrumentalist Matthew Fagan has just completed a successful season of his show at the Edinburgh Festival Fringe. He’ll be at Smith’s Alternative, 76 Alinga Street Civic, 4pm-6pm Sat Oct 15, bookings to smithsalternative.com or at the door. THE EAST ROW Rabble “Aliens in my Brain” single launch, with special guest Cherie Kotek, is on in in celebration of Mental Health Week from 9:30pm Saturday October 15, Smiths Alternative, 76 Alinga St Civic, tickets at the door. INTERNATIONAL HIT SHOW ‘Boys in the Band’ celebrates the world’s greatest hits from The Beatles, The Bee Gees, Frankie Valli and the Four Seasons, The Platters, The Jackson 5, The Beach Boys, The Drifters, Simon and Garfunkel and Backstreet Boys. 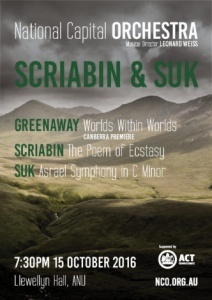 At The Q – Queanbeyan Performing Arts Centre, 8pm, October 13 and 14. Bookings to theq.net.au or 6285 6290. “FRAGRANCE-filled Courtyard” is a concert to celebrate the ANU Chinese Classical Music Ensemble’s ten year anniversary, presented in association with the Australia-China Friendship Society. Half of the funds raised will be donated to Project Hope, which aims to bring schools to the poorest rural areas of China. Ainslie Main Hall, Ainslie Arts Centre, 2pm to 3pm Oct 16, bookings to agac.com.au or at the door. PRESENTED by the ANU Music Society, The Toddlers’ Prom is a concert for children aged 2-8 and gives kids an opportunity to experience music performed by a live ensemble, including the chance to conduct a real orchestra or try out a musical instrument. The Concert Band, Jazz Ensemble and Orchestra are bringing you a range of well known and loved tunes – from movie music (‘How to Train your Dragon’), to classics like “Twinkle Twinkle Little Star” and jazz music that will get feet dancing. 2pm to 3pm, Oct 13, Ainslie Main Hall, Ainslie Arts Centre, bookings to agac.com.au or at the door. PHOENIX Pub in Civic has as follows: Thursday Oct 13 9pm, Capes, Horace Bones, Signs & Symbols, and Northbourne Flats. 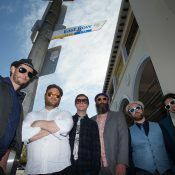 Friday Oct 14, 9pm, Oslow, Hannahband, Agency, and Eadie & The Doodles. Saturday Oct 15 9pm, The Vacant Lot, Red Red Krovvy, New Age Group, and Little Lunch. 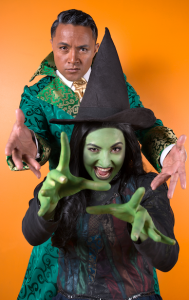 “WICKED,” the musical based on Gregory Maguire’s 1995 novel “Wicked: The Life and Times of the Wicked Witch of the West” is being staged by Free Rain Theatre, at Canberra Theatre, until October 27. Bookings to canberratheatrecentre.com.au or 6275 2700. 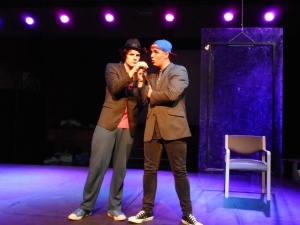 THE LIGHTBULB Improv Troupe returns to the stage in “Switched On,” a variety show centred on the theme of ‘Changes’. Expect improvised comedy delivering slick scenes and stupendous stories from audience suggestions. Smith’s Alternative, 76 Alinga Street Civic, 7:30pm Friday October 14. Bookings to smithsalternative.com or at the door. “OBJECT THERAPY” is the latest project in Hotel Hotel’s ‘Fix and Make’ program. It culminates in an exhibition of 30 broken objects that have been submitted by the public and have undergone ‘therapy’. Nishi Grand Stair at Hotel Hotel. Launch 6pm Friday Oct 14, continues until Oct 30, free. AN EXHIBITION of paintings, drawings, assemblage and sculpture, “Mutable Realities,” showcases work by noted artists Patsy Payne, Sara Freeman, Trish Roan and Peter Jordan. Looking beyond the world of reason, they use their work to explore everyday miracles, intangible realms and threshold places. Nishi Gallery, Kendall Lane New Acton, opening 6-8pm Thurs, Oct 13 then runs until Sun Oct 30. LARAH NOTT and Jo Hawley are both relatively new artists showing at Bilk Gallery, with a shared interest in architecture and the language of form. 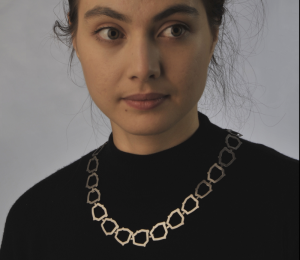 Nott’s brooches are inspired by the floor plans of concert halls, while Hawley takes a more abstracted approach to forms, exploring the concept of internal and external spaces created from de/constructed domed circles. 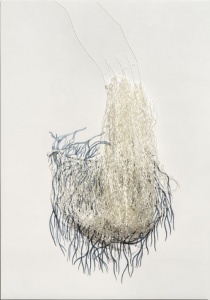 “Alternative Views – Larah Nott and Jo Hawley,” Bilk, Palmerston Lane Manuka, opens October 14, runs to November 12. THE “INVISIBLE BORDERS” project explores migration, citizenship, identity, and the refugee experience through performing and visual arts. Shows include “Seeking Refuge”, an exhibition of sculpture, photography, paintings and multimedia considering the refugee crisis by artists Sean Davey, Lucile Carson, Euan Graham, Mona Khizam, Penny Ryan, Barak Zelig, Nicci Haynes and Caren Florance. 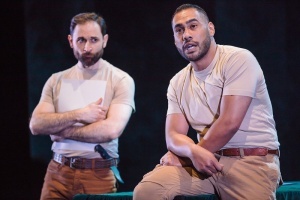 British/Pakistani writer and community development worker Irfan Master’s show “I’m From Here.” At Tuggeranong Arts Centre, until October 19. TO CELEBRATE Belconnen’s 50th birthday, Belconnen Arts Centre asked artists from throughout Australia to respond to the theme of “Traces”, speaking of place connection to it; stories and personal memories. 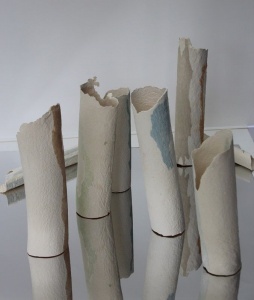 Alongside “Traces”, BAC has: “The Map Project,” conceived by Istra Toner, joining groups of artists from several different countries; “In Memory: The Work of Irma Darre Trickett;” and “Pivotal”, by Jen Mallinson, a series of contemporary sculptural works that explore the cycles of existence. Belconnen Arts Centre, October 14 to November 6. Opens Friday, October 14 at 5:30pm. IN “EQUUS HOMO” by Stephen Harrison we see large format photographs of humans in harsh landscapes wearing sculpted horse heads and holding decaying sculls, alongside ghost-like, life-sized half horse and man sculptures. The exhibition was awarded to Harrison as the winner of Tuggeranong Arts Centre’s Exhibition Award at Sculpture in the Paddock. Tuggeranong Arts Centre to October 19. GLASS ARTIST Hannah Gason will open her first solo exhibition at Suki & Hugh Gallery on October 8. Raising the excitement level even further the artist will launch her new design label ‘t.u.l.e.’ [tying up loose ends] alongside the exhibition. 38A Gibraltar Street Bungendore, runs to November 27. PHOTOACCESS presents two new exhibitions celebrating the ephemeral nature of experience: ‘Grounded’ by Georgia Black and ‘Surfacing’ by Caroline Huf. Black explores transience and impermanence as a state of mind and Huf showcases a series of still and moving image works exploring ideas of surface, substance and duration. The exhibitions will continue in the Huw Davies Gallery, Manuka Arts Centre, until November 6. AS PART of Mental Health Month there will be an exhibition of art in various media at The Q until October 22. LOCAL ARTISTS Antoinette Karsten, Ange Price, Philip Mudin, and Jenny Blake have come together to show a striking body of work that reflects our daily human experience: the light, shade, shadows and darkness we all live with. It’ a collection of works from students at the CIT Diploma of Visual Arts School and provides an opportunity to purchase original art from promising emerging artists. Design Space Gallery, CIT Reid Campus, F block, 37 Constitution Avenue, October 12- 22. “FORGET Forgo Forsake Forgive” is a show of work by Rosalind Lemoh, opening at Silo Bakery, 36 Giles St, Kingston, running to October 15, Tues – Sat 7am – 4pm. “THE SCHOOL Magazine” is the world’s longest continuously published children’s literary magazine, now celebrated in an exhibition curated by the National Centre for Australian Children’s Literature. Experience the memories and much-loved stories, poems, illustrations, music and crosswords, plus manuscript and artwork originally in the magazine. Civic Library, until October 21. CANBERRA Potters 2016 members’ exhibition is at Watson Art Centre, Aspinall St, Watson, to Oct 23, 10am-4pm Thursday to Sunday. IN “The World around Us”, three well-known Canberra artists, Eva Henry, Stuart Marshall and Isla Patterson are exhibiting watercolours, oils and pastels, landscapes, seascapes, people, plants and flowers. Ginninderra School House Gallery, Gold Creek, Nicholls. Continues until October 30, 10am – 4pm Thurs. & Fri. & 8.30 – 4.30 pm Sat. & Sun. THE AUSTRALIAN WAR Memorial’s latest exhibition, “For Country, for Nation”, is the first exhibition dedicated exclusively to exploring Aboriginal and Torres Strait Islander stories of military service in times of war and peace. It will highlight the stories of Aboriginal and Torres Strait Islander peoples and explore themes of remembrance and tradition though family histories, objects, art, and photographs. M16ARTSPACE 21 Blaxland Cres Griffith has: ‘As It Is’ by Tess Horwitz, Caroline Huf, Janet Long; ‘White Lies, Grey Heart” by Damon Craig; ‘RED’ by Carol Cooke, Victoria Cotton, Jane Keany and Maryann Mussared; ‘Life in Death’ by Palliative Care Australia; and in Chutespace, ‘Fresh Glass Bower’. Exhibitions run until Sunday, October 16, 12 – 5pm Wednesday to Sunday. 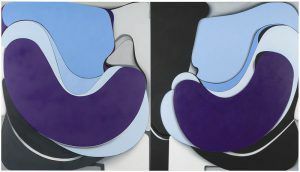 CANBERRA CONTEMPORARY Arts Space has three new solo exhibitions: Marie Hagerty’s “Blue-blooded” hypnotises the viewer with “constructs of exhilarating fluidity, in “Almost illegible” Tony Curran presents recent oil paintings, drawings and videos; and Vanghoua Anthony Vue reinterprets Hmong textile designs and written languages. Opening at Gorman Arts Centre 6pm, Friday Oct 14. THE DRILL HALL Gallery at the ANU has a double ceramics and painting exhibition: striking large-format abstracts in “Charlie Sheard – Paintings and Watercolours” and the retrospective show of ceramic art, “Doug Alexander – Ceramics: Remembering Doug Alexander (1945 -1981)”. Both are at the Drill Hall Gallery, Kingsley Street (off Barry Drive), open Wednesday-Sunday, 10-5pm. Admission is free, to Nov 6. “PRESS/PRINT” is an exhibition of work by emerging ACT artists, curated by Rose Townsend at Megalo Print Studio + Gallery 21 Wentworth Avenue, Kingston, until Oct 15 Tuesday – Saturday 9.30am – 5pm. It’s an ongoing initiative of Megalo which invites one artist to curate an exhibition of emerging artists work with the guidance and assistance of Megalo staff. The ‘Press Print’ exhibition artists for 2016 are: Estelle Briedis (EASS), Jess Higgins, Alycia Moffat (EASS), Belle Palmer Rebecca Setnicar (EASS), Miriam Slater, Rose Townsend, Walrus and Caitlin Woodward. “LAY ABOUT” is a solo exhibition by Canberra emerging artist and ANCA studio artist Jacob England and is the culmination of his site-specific investigations at Black Mountain and Mount Ainslie meditating on the question ‘can I intertwine my spirit or being into the landscape? ANCA Gallery 1 Rosevear Place until Oct 16, 12pm-5pm Wednesday-Sunday. 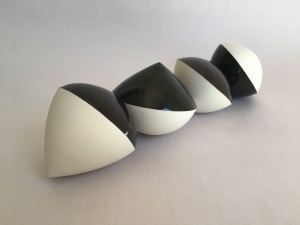 “FINDING THE ESSENCE” is a solo exhibition of print and three-dimensional works from Sydney artist Trish Yates at FORM Studio and Gallery, 1/30 Aurora Avenue, Queanbeyan until October 30. Yates aims to slow your pace and focus your vision with a collection of semi-abstract woodblock and monotype prints inspired by trees and the broader landscape, Monday to Friday 9.30 am – 2.30 pm, Weekends 10 am – 4.00 pm. STRATHNAIRN Arts Gallery has three respected Canberra artists; Kylie Fogarty, Carole Osmotherly and Judy Witherdin, are exhibiting their works of silk paintings, glass art and works on paper in the bucolic setting of the Woolshed Gallery at Strathnairn Arts, Strathnairn Arts, Stockdill Drive, Holt. Free Entry. Strathnairn will be hosting a ‘Meet The Artists’ at 2pm this Saturday October 8, 2016 in The Woolshed Gallery. 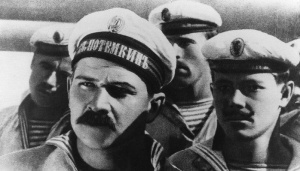 The exhibition runs to October 16. Free Entry. CRAFT ACT’S NEW exhibition, ‘Citizens of Craft’ highlights all mediums, glass, textiles, metals, ceramics, wood and mixed media and many internationally renowned artists who live and work right here in the capital. It’s the largest members’ exhibition ever put on by Craft ACT, showcasing works designed and produced by 42 Canberra artists at varying stage of their careers, runs to October 22. “SKY BLUE SKY” is an exhibition of paintings by Kate Stevens, one of the region’s more gifted artists. They are painterly reworkings of iPhone footage filmed through the front windscreen or side windows of a car while driving. At the Nancy Sever Gallery, 6 Kennedy Street Kingston until October 23, Wed–Sun 11am-6pm. “FRESH Glass”, at Canberra Glassworks, 11 Wentworth Avenue, Kingston, until October 30, 10am to 4pm, Wednesday to Sunday. Drawing inspiration from spring and to celebrate Floriade, Fresh Glass pairs studio glass vessels and sculpture with botanical installations. You can buy bunches of flowers too and watch floral artists at work. Entry is by donation. ALSO AT Canberra Glassworks, Artist in Residence Ben Edols is in session developing and refining a new body of work. The public are invited to say hello while he’s in Canberra and to find out more about his work. 10am – 4pm Wednesday to Sunday until Oct 18, entry by donation. BARAK ZELIG’S solo exhibition titled “Art and Dreams- The Readymade” consists of small sculptures and several prints. On Saturday, October 15 is opening during the ‘Steampunk’ Fair in Goulburn. THE ANU Gold & Silversmithing Studio at the School of Art has an ongoing exhibition by its alumni. It’s a selection of works from over two decades of brilliant graduates, Gilbert Riedelbauch, Blanche Tilden, Oliver Smith, Phoebe Porter, Larah Nott, Halie Rubenis and Harriet Lee-Robinson. ANU Building 105, entry via Ellery Crescent Foyer Gallery, until Nov 1. Open to the public by appointment. HEATHER B Swann’s exhibition “Nervous”, featuring Banksia Men and other sculptures, is on display at the NGA until November 20. “ZHANG PEILI: From Painting to Video” is a collaboration built around the generous gift to CIW, by Lois Conner, of one of Zhang Peili’s last paintings from the 1990s, before he shifted his focus to media art. Developed with MAAP director Kim Machan, From Painting to Video presents Flying Machine (oil on canvas, 1994) alongside a set of Zhang’s early video works. Complementing these are two more recent installations. China in the World Building, Fellows Lane, ANU until Nov 15. “MIKE Parr: Foreign-Looking” is the first exhibition to bring together works in all media across Parr’s voraciously experimental practice from 1970 to the present. This installation of performance, film, sculpture and photography provokes a challenging yet mesmerising experience. National Gallery of Australia, to Nov 6. THE NGA has “Diane Arbus: American portraits” | Open now until October 30. 36 of Arbus’ most iconic photographs are exhibited alongside a selection of photographs from the NGA collection. “Design and Nature,” glass and ceramics by Art Nouveau masters Louis Comfort Tiffany and Clément Massier and 80 objects from the NGA’s collection, is open now until March 2. And in the Contemporary Asian galleries is a new display focused on contemporary Chinese art has opened featuring provocative works by internationally renowned artists such as Ai Weiwei, Xu Zhen and Zhang Huan, open until November. “DISSECTIONS” showcases the hyper-realist sculptural self-portrait of artist Sam Jinks, “Divide”, alongside the painted portrait of philosopher David Chalmers by Nick Mourtzakis, which was commissioned by the National Portrait Gallery in 2011. Gallery 1, NPG, to November. “TOUGH and Tender” presents raw and intimate photography from American and Australian artists from the 1960s to the present day. Photographs from internationally acclaimed artists Robert Mapplethorpe, Larry Clark, Nan Goldin, and Collier Schorr, and video performance by Chris Burden forms part of the exhibition, alongside contemporary Australian artists Rozalind Drummond and Warwick Baker. National Portrait Gallery, until Sunday October 16.